The Redemptorists » Fourth Sunday of Advent: Will you say ‘yes’? Behold the unimaginable depths of God’s love for us! 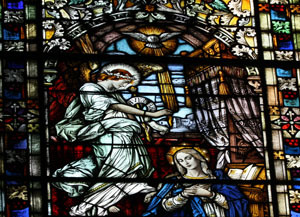 The encounter between the Angel Gabriel and the humble handmaid of the Lord provides us with an insight into God’s tenderness toward us. Not only does He desire to share with us the choicest of gifts — His Only Son — but He wants our input and our cooperation! This is rather remarkable. Imagine a responsible parent who, from the experience and knowledge accumulated over a lifetime, instructs his or her child about what’s best for that child. But despite all this parent’s wisdom, he or she earnestly seeks the child’s agreement with this decision, the child’s acceptance of it with their own being. God is not a distant lover who imposes on us what He deems best. Instead He enters into our circumstances to discuss the details of our lives with us, and patiently waits for our assent to His providential designs. Granted, this does not mean that it is “a walk in the park” to enter into dialogue with God. However, we can be comforted by the fact that the love and interest that God possesses for each one of us far surpasses all the expressions of love that we experience in a lifetime. Furthermore, we have Mary, the humble handmaid of the Lord, to accompany us and hold our hand as we set out on this journey of allowing God access into our lives. As a Redemptorist seminarian living at the renowned “Mission Church” in Boston, it is truly amazing to see the countless number of people who have awakened to the realization that God loves them profoundly. And they came to that knowledge all through the simple gaze of a young Jewish woman. As this season of Advent draws to a close, may Mary, the Mother of Jesus and Our Mother of Perpetual Help, open your heart to the priceless gift that God desires to give you this Christmas. God bless you! 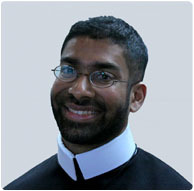 David Verghese, C.Ss.R., professed his first vows as a Redemptorist in August 2011. He is a fourth-year theology student at Boston College’s School of Theology and Ministry. He is a member of the Redemptorist formation community in residence at Mission Church in Boston, MA.